Oh For Sweets Sake cupcake mobile tweeted: for the rest of June, every 25th cupcake, baby bundt or whoopie, we "sell" will be FREE! RT and tell a cupcake lover! Click here for the direct ticketmaster link. Tickets are free, however, there is a $1.25 service charge per ticket to print it at home, and a maximum of four tickets is allowed per person. 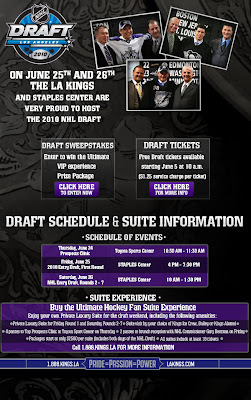 The ticket is good for both days of the draft. Update: As of June 18 there were tickets available for the 300 level. 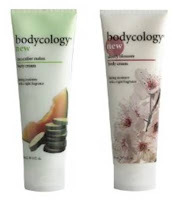 Free Bath & Body Lotion - this weekend only! Tons of Father's Day specials - Thanks Deals Diva for the list! This weekend only — try our NEW Signature Collection Forever Sunshine™ 2 oz Body Lotion FREE! No purchase necessary. While supplies last. In stores only. For $150, you get six laser hair-removal treatments (three treatments on two body areas) from DermaBare of Mission Viejo (up to a $720 value... you save $570). Click here for the offer! Buy two of today's deal for a total of six laser hair removal treatments per area, which is the recommended average number of sessions to obtain the best results. You can also buy two Groupons to get three treatments on four body areas. Chicken Eat & Run Tweetup. RSVP Today! Weather permitting. Bring your lawn chairs! Follow the Orange County Great Park and Chick-fil-A at Woodbury Town Center on Twitter to get a free chicken sandwich* before the movie starts at 8:00 p.m. on Saturday, June 26! Hurry, limited time deal! Majestic Spa, conveniently located at the Diamond-Jamboree Plaza (Alton and Jamboree) in Irvine is offering a 60-minute Reflexology Massage with upgraded oil and an upgraded milk bath for just $25. This is normally a $40 value. In honor of all the sports mania, today from 5:00-8:00 pm when you purchase a meal, you'll get your friend's meal for FREE! Dine in only, 6.17.10 and second meal must be the same as first meal. Facebook fan! Follow Chick Fil A on MacArthur & Main for their special word of the day for free food. Gourmet burger joint, The Counter, is offering dad a free burger on Father’s Day– dubbed “Burger For Dad” day by the Southern California chain. All you have to do is say “I want the BFD!” and you get a standard 1/3-pound burger as long as dad is with a paying customer. Get there early, as this place WILL get crowded!! Rules: The burger comes with cheese, and up to four toppings, and one sauce. Additional and premium toppings such as extra cheese, avocado, fried egg and honey cured bacon are extra. The BFD deal is available at 22 locations including the following California restaurants: Irvine, Santa Monica, El Segundo, Studio City and Marina del Ray, Carlsbad, Corte Madera, Hollywood, Palo Alto, Pasadena, Roseville, San Jose, Walnut Creek and Westlake Village. Kids (under 20) who bring their dad to Wahoos can get a free Chicken or Carnitas sandwich with this coupon. This is only valid on Father's Day, Sunday, June 20. Must print and fill out the coupon to qualify. Thanks lafreebie for the heads up! It's always nice to eat out, but its also hard to eat (relatively) healthy as well. Souplantation changes their themes to keep their menu fresh and new. This new rotaton is Cherries. While this is not a "frugal find" going to Souplantation is eating healthier, and below is a coupon that will help you save money. Quench your crawdaddy cravings with this deal, which gets you $40 of grub for just $20 at JACKshrimp, the restaurant The Orange County Register calls "one of the great sensual experiences one can have in OC." Facebook fans! Save an additional $3.00 on this deal! "Like" JACKshrimp on Facebook to receive updates in your Facebook Feed and get $3.00 off your purchase price! Purchase one Schick Hydro Razor (up to $10.99) and submit for the rebate to get the full amount back. You’ll need to mail in the printed rebate form with the original UPC from the package and the original sales receipt within 30 days of purchase. All requests must be postmarked by 8/18/10 and received by 9/01/10. Fill out the form to receive a free sample of Purina ONE brand Dog or Cat Food. The Bands in the Sand Series run every Saturday between Memorial Day Weekend and Labor Day Weekend. The line up of bands includes 80's covers, California surfing and much more (click HERE for the weekly concert schedule). The live band plays 6-8 PM, which is just perfect timing right before sunset. Movies on the Beach runs every Friday between Memorial Day Weekend and Labor Day. Get there early to claim a spot! Bring a blanket and a picnic, but food and drinks are also available for sale. Admission is free but on-site parking is $10. Free Shirley J Universal sauce mix. Shirley J is offering up a FREE 2-oz. sample of Shirley J Universal Sauce mix. Click the “Get it Free” blue button on the right hand side to adda 2 oz seasoning sample to your cart. At checkout your total will be $2.40, but then you can use coupon code Single2 which will make your total free with free shipping. Discover where you belong, at Broadway's new Tony Award®-winning classic, In the Heights. Click here to save 25% on select seats. USE OFFER CODE: BLA25 HURRY! The last day to use this offer is June 21! Parking for concert is $5 general and $10 preferred. Amazon has temporarily marked down the ‘Love Comes Softly‘ e-book by Janette Oke to FREE! Save $13.99! This Free e-book can be read on a Kindle, Blackberry, iPhone, iPod Touch, or your PC or Mac! Hurry... Click this link to download this Free E-Book! Amazon prices change often, so if it’s still Free… the price will still be listed as $0.00. Signup for the Mr. Food newsletter and get a 32 page ebook for free. You’ll find all sorts of dessert recipes, from cakes and pies to cookies and everything in between. Note: This is an ebook, so you will need to download the cookbook. Burt's Bees Mystery Bag- over $50 MSRP worth of stuff! For a limited time, the Burt's Bees premium grab bag is back. Full of goodies worth over $50 MSRP. It's now specially priced at $24.99 (half off). We've mixed and matched our most popular natural products and other special gifts into our Premium Grab Bag. You'll get 5 full-sized products, 14 mini-size products, and 5 special gifts! The assortment includes a lip balm, lip shimmer, lip gloss, body lotion, facial cleanser, hand cream, face cream, and more. Give the gift of well-being to others or keep them all for yourself! Click here for the offer. Hurry... this offer won't last! There are a lot of events starting or happening on Tuesday, June 15! Hurry, RSVP! Attend overview of future exhibits, get Free admission to Aquarium of the Pacific. Don't forget tomorrow there's Jamba Juice Smoothies for a Dollar! You get two executive haircuts with a centre stylist (a $74 total value) at 18|8 Men's Hair and Grooming Centre. Save $49.00 with this one day offer! Click here for the offer. This will make a great Father's Day gift! Though you'll come to 18|8 for the complimentary beer, wine, or coffee, you'll stay for the hyper-masculine, results-driven hairsperience. Before your snipping, you'll receive a hair examination and talk to a stylist about your preferred look. An executive haircut includes a five-minute head, neck, and shoulder massage, a thorough shampooing, and the titular cut, leaving you somehow both lax and commanding. All services at 18|8 conclude with a hot towel wrapped about your entire face like a startled, warm cat clinging to your head. 3 locations in Orange County, 1 in Pasadena. This was featured in the news as the new "Man"saloon. This has nothing to do with a frugal find, but it is rather quirky. the letter "b", "a", then enter. Use the up and down arrows on your keyboard. 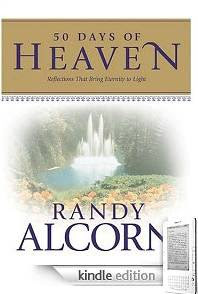 Amazon has temporarily marked down the ‘50 Days of Heaven: Reflections That Bring Eternity to Light‘ e-book by Randy Alcorn to FREE! This Free e-book can be read on a Kindle, Blackberry, iPhone, iPod Touch, or your PC or Mac! Click here to download this Free E-Book! Amazon prices change often, so if it’s still Free… the price will still be listed as $0.00. This can change at any time! Thanks Frugal girls for the headsup! 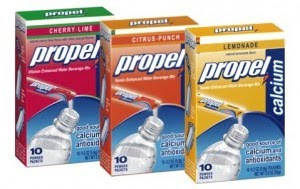 Become a fan of propel on facebook by clicking "like" and get a free sample of Propel Powder with calcium Fitness drink packet. Click here for the link. Go to the California Pizza Kitchen's Facebook page and click “Like” to get a printable coupon good for a FREE Small Craving when you spend $20 on food. A small craving looks like a starter or appetizer. Update: If you are a foursquare user, you should get a coupon just for checking in. Fanta looking for a new 4th Fantana! From now until June 30, 2010, Fanta is holding a national casting call at www.Fanta.com where aspiring Fantanas can submit a one-minute audition video. Applicants will be asked to showcase their singing and dancing skills and explain why they would make a great Fantana. The winner will then be revealed nationally on MTV in late September. Facebook fans! Download the Summer Nightastic! jingle and get the ringtone! To get the ringtone text "NIGHTS" to 347-639. (Message and data rates may apply.) If you’re under 18, ask your parents first. Be a founding volunteer of theInaugural Anaheim International Film Festival. Volunteer Opportunities include assisting in theater operations, festival administration, special events coordination, publicity and special guest relations, marketing, promotions ticket sales, data entry, graphics design, website and social networking site maintenance foreign language translations, greeting guests, introducing films or workshops, proofreading publications, driving guests to and from airports and around town, to name only a few. Walgreens has the cans of tuna priced at 89 cents each this week according to Money Saving Madness! That = FREE TUNA! Dove is offering a free luxury robe (valued at $42) to anyone that sends in a photo with a video or text review of their new Reinvented Dove Hair Care Shampoo or Conditioner. After you used it for 5 days upload a video or a photo with text by August 31st. Click here to see more information. All videos and photos must depict the reviewer holding a bottle of Reinvented Dove Shampoo or Conditioner. The Luxury bathrobe will be mailed at the end of August to the address provided during submission; allow 8 –10 weeks for delivery. Limit: 1 luxury bathrobe per person, household or e-mail address and offer only available while supplies last. Another facebook freebie….. Click here and head on over and “Like” Tablespoon on Facebook. A pop up window will show up and fill out the information so they can mail you a free sample of Chex Mix! Its not free, but for a buck... its a great deal! Offer valid only on 6/16/10 at participating Jamba Juice locations for Super Yumberry, Berry Yumberry,Acai Super-Antioxidant™, Pomegranate Pick-Me-Up™ & Pomegranate Paradise™ smoothies. Offers specifically not valid at Safeway, Vons or Pavilions locations. Not valid with other offers or discounts. Not valid for Jamba Juice employees. ©Jamba Juice Company 2010. Please note, the Aquarium galleries will not be open that evening. *Free admission ticket available to first 200 guests and presented at end of event. Ticket valid September 7 – December 31, 2010. Congratulations to Anaheim for representing California for the free food giveaway! On Thursday, June 17, the first 100 people to visit this location gets a free meal. You just need to mention the secret code. HOW TO GET THE DEAL: To get the free lunch, Anaheim residents need to log on to one of KFC’s social media pages, (Facebook, Twitter), where a secret password will be revealed. Click here for the selected city and the secret code. ATTENTION ICE CREAM LOVERS: @COOLHAUS is giving away FREE ice cream sammies this week compliments of USA Network's 2010 Emmy Campaign! Choose between Turkey, Bacon & Cheese, or a Dei Trio sandwich. Sign up and choose from four free sample packs, each filled with a variety of great period products to try. It’s the easy (and free) way to find the right product for you. Click here to get your sample. Moms: You can also get your daughter a "first period" pack. Raising a baby is expensive. I read somwhere that raising a child from birth to 18 years cost over $200,000, and that's not including college or extracirricular activities like sports! 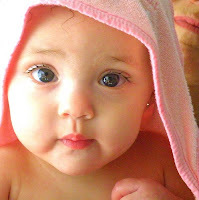 Here's a link I came across that has freebies or offers for babies. Click here. Stop by and get one!